Join us this June for a week (or two!) devoted to the beauty, inspiration, and wonder of Florence! In Week 1, "Discovering the Beauty of Florence," we will steep ourselves in the art, literature, history, and gardens of this storied place. Based in the early 15th-century villa Il Palmerino, you will experience the Italian Renaissance, encounter its geniuses, and come face to face with their masterpieces at the Uffizi, one of the world's greatest museums. 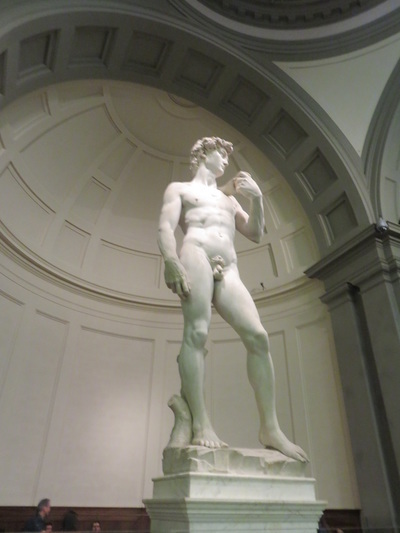 In a small, exclusive group of participants, you will savor the beauty of Italy's poetic tradition, explore the city and its architecture with a local expert, and gain access to the wealth of Florence's other excellent museums, including the Accademia, home to Michelangelo's David. You will also take an active part in restoring and preserving Florence's art. 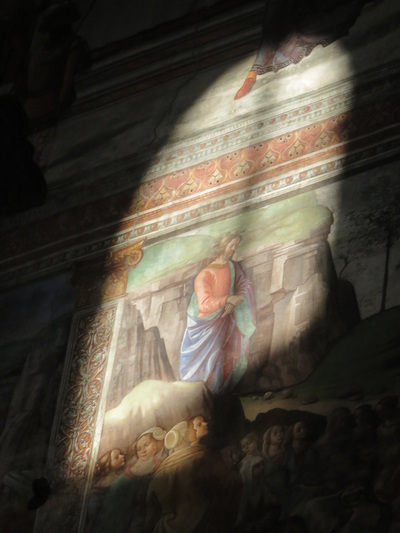 Not only will part of your tuition be donated to benefit art restoration in Florence, but you will also enjoy the rare privilege of working on an historic restoration project yourself in a professional art restoration workshop. On this journey, you will discover the beauty of Florence first-hand, and play a vital role in preserving it. Week 2 will focus on "Creating Beauty," using the sights, smells, sounds, tastes, and textures of Florence and Tuscany as our inspiration. This week we will re-connect participants to their own creativity, allowing each individual to join the rich artistic legacy of both Il Palmerino and Florence. Through creative writing and drawing workshops, you will learn to savor the details around you, and you will see with new eyes as you paint outside in the lush gardens of Il Palmerino. You will also feed your sense of sound with Italian music, and your sense of smell, taste, and touch as you harvest the fruits and vegetables we will use in our exclusive Tuscan cooking class at a nearby villa. All of these experiences will provide the rich material for you to create and share your own original work. Please note that this journey is suitable for complete beginners, so please do not feel you need any experience as a writer, artist, or cook to participate! In a fun, supportive small-group environment you will learn all the skills you need to experience and express the wonder of Florence, and to forever expand your own creative possibilities. **Space is extremely limited as the facilities can accommodate only ten guests for each week of our journey. A deposit of $590 is needed by March 31 to secure your place for either week. REGISTRATION HAS OFFICIALLY CLOSED, BUT PLEASE CONTACT ME FOR ANY REMAINING AVAILABILITY IN WEEK ONE ONLY!! You have one more chance to be part of this inspiring experience! Please read below for all the details about our extraordinary venue, our worthwhile cause, and all the wonder-full things that are included in this incredible journey! Payment of the deposit indicates you have read and accepted our Terms and Conditions. We are very fortunate to be welcomed as guests at Il Palmerino, a Tuscan villa which dates back to the early 15th-century (and has the frescoes and stories to prove it!) Palmerino's organic gardens, vineyards, and olive groves provide a serene retreat from the city, and yet the historic center of Florence is only a short bus ride away. In its storied past, the villa was owned by a series of important Florentine families; it also served as a monastery, and was eventually purchased by the writer Vernon Lee (Violet Page), who welcomed such literary and artistic luminaries as Aldous Huxley, Henry James, Edith Wharton, and John Singer Sargent, and who fought to preserve Florence's artistic and historic heritage in her own writings. In 1936, Palmerino was purchased by the artists Federigo Angeli and his wife Carola Costa, the grandparents of the current owners, who now run a thriving Cultural Association and whose efforts keep the arts a living and vital force at Palmerino. There is no better venue for immersing yourself in the history, beauty, and wonder of Florence, or for igniting your own creativity in a place that has always nourished creative pursuits. In 1966, the Arno River swelled over its banks and drowned the city of Florence in 22 feet (6.7 meters) of water. Priceless and irreplaceable troves of paintings, books, and manuscripts were severely damaged or destroyed, covered in mud and fuel. People from around the world, moved by the plight of Florence and its unmatched cultural heritage, rushed to the city to rescue art and help in any way they could. They were called " Gli Angeli del Fango," or "mud angels," and thanks to their selfless efforts, much of Florence's cultural heritage was saved. When you join us in either week of our journey to Florence, a portion of your tuition will be donated directly to the restoration of Florentine art. 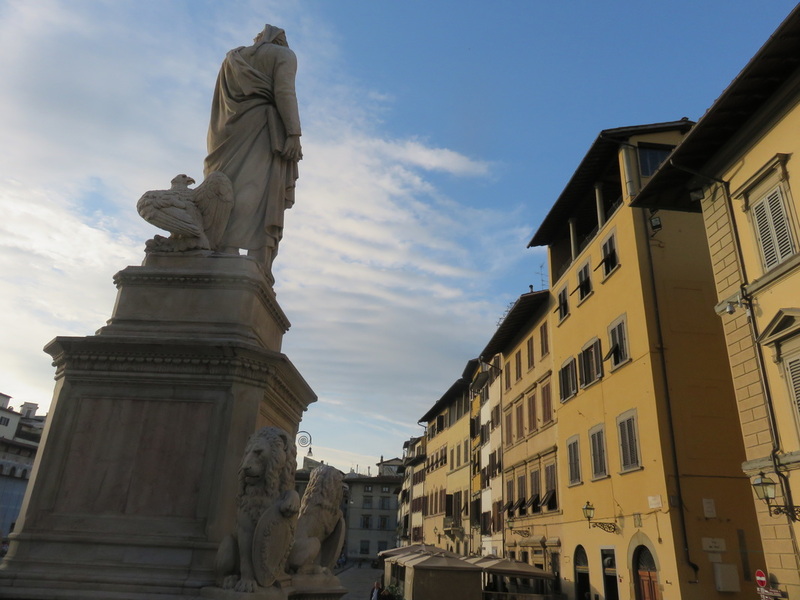 In week 1, you will have the opportunity to participate in this restoration yourself, while in week 2, you will join in Florence's artistic legacy by creating and contributing your own work. Either way, you will feel proud knowing that you made a positive contribution to the art that belongs to this great city, and to the world. So become a modern-day Mud Angel today! 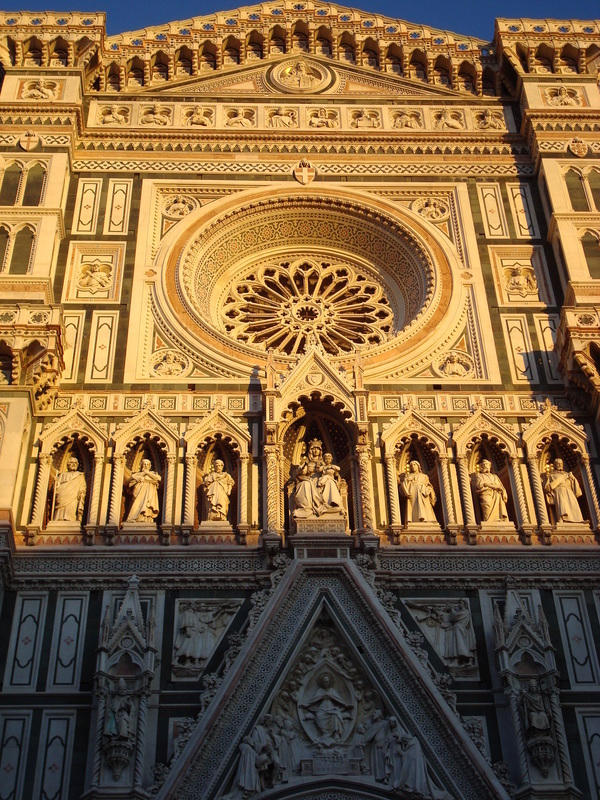 ﻿﻿Register now﻿﻿ for this journey and discover-- and preserve -- the Wonder of Florence! I have visited Florence quite a few times in the course of my travels, drawn back again and again by its incomparable art. But Palmerino was a unique and priceless discovery. I first ventured there to work on my own writing, and as I discovered character and history, books and art whispering from every one of its corners, I instantly knew two things: that it is a privilege to find oneself at such place, and that it would be an ideal setting for a Wonder of the World Journey. I also had the opportunity to learn about the devastating Flood of 1966 on my last trip to Florence, the heroic "Mud angels" from around the world, and all the work that is still being done in a city that is devoted to art and beauty. I was inspired by these stories, as I know you will be, and thrilled to join these efforts on a Wonder of the World journey. REGISTRATION HAS OFFICIALLY CLOSED, but CONTACT ME TODAY FOR ANY REMAINING AVAILABILITY -- WEEK ONE ONLY! Full registration is $1995 for WEEK 1. Final payment of the full tuition amount is due May 10, 2016. Accommodation is double-occupancy and will be assigned on a first-come, first-served basis. If you are a solo traveler (like me! ), please contact me; if you are amenable, I may be able to pair you with someone to avoid the dreaded single supplement! Otherwise, single room rates are available. Contact me to inquire. Here are the wonder-full things that are included each week of your journey! --Film screenings at Palmerino to learn even more about this special place! --An absolutely unique and unforgettable experience that will benefit you and the planet! --Museum pass, which gives you priority access to all in Florence over a 72-hour period. --Inspiration, beauty, and memories galore! Plus, I always have a few other surprises up my sleeve to make your adventure even more memorable! --Anything that is not inspiring, empowering, and good for you and the planet. The Villa of Palmerino is a one-of-a-kind place, dripping in charm and character, but please note that it is not a hotel, and therefore does not offer the kinds of services some travelers expect from their accommodations (no valets, no room service, no restaurant or spa, etc). Please also note that it is a ten-minute walk from the villa to the bus stop, and then a 15-25 minute ride from there into the historic city center. Additionally, while each room is outfitted with a fan, there is no air-conditioning at Palmerino. The good news is that this is better for the environment, and helps to preserve the Wonder of the World. With its organic gardens and the bio-materials used in its restoration, Il Palmerino does its part to preserve our wonderful planet. An information packet with more details and recommendations will be sent to all registered participants, but if you have any other questions before then, feel free to contact me!